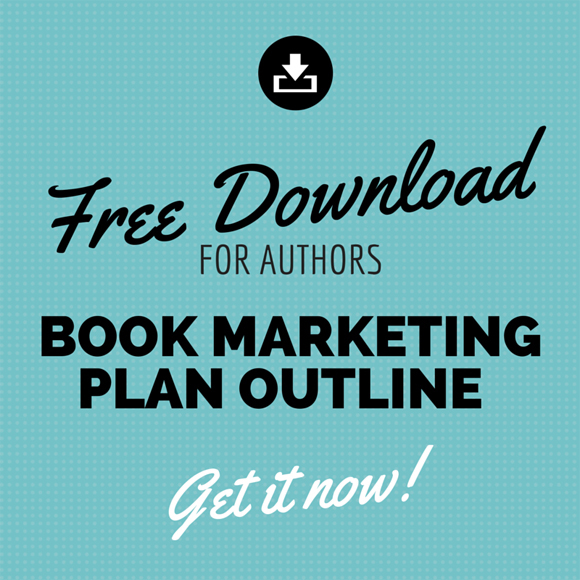 This book marketing plan outline is a short form "real" marketing plan for indie authors (meaning it goes beyond a simple, and often untargeted, list of tactics). While a simple list might be fine when pitching publishers, a list of marketing tactics is not a marketing plan. 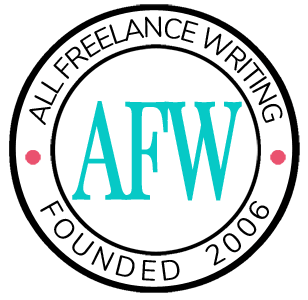 As an indie author you're a business owner. And as a business owner you owe it to yourself to have a comprehensive and thought-out plan in place. This outline is meant to serve as a roadmap from the beginning of the writing process, where you'll evaluate demand and your target market, through post-launch promotion. You should have a separate book marketing plan for every book published, though you can also create a series marketing plan if you've already released multiple books in a series. Preview the book marketing plan outline below or download the .pdf version at the end of this post. In the next several days, I'll release a premium version that goes far beyond this outline -- a full-fledged template, with an example plan filled out. That version will go into more depth with additional sections not included here. But consider this a place to start. This section is a short summary of more detailed information in your marketing plan. If it makes things easier, write this section last. Briefly summarize your target buyers and readers. Briefly summarize your goals or objectives. This section describes the ideal buyers of your book. Everything else will be tailored to them. What are the demographics of your ideal readers (age, gender, education, location, etc.)? Are there other groups of potential buyers you should target (such as a children's author targeting teachers and parents rather than just trying to appeal to their target readers)? What are the primary needs of your target market (and how does your book satisfy those needs)? What factors and emotions are likely to influence buying decisions within your target market? You'll want your marketing messages to appeal to those things. In what ways, places, or media are your target buyers going to be easiest to reach? This section is where you explore larger market trends and issues that could influence your book sales (changes in technology, legislation related to your book's niche, trends in consumer behavior, etc.). What are the critical issues facing you in reaching readers with your book? What are your keys to success (where do you have the most opportunity to succeed)? What larger market forces could affect your book sales (genre trends, print book vs e-book buying habits, etc.)? This section of your book marketing plan is where you evaluate the competition and see how you stack up against them. How are top-selling competitors pricing similar books? How is the competition promoting and distributing their books? What are your competitors doing well, or better than you? Where are your competitors struggling (where can you do better than them)? This section is where you list your marketing goals or objectives. Use S.M.A.R.T. goals here -- they should be specific, measureable, achievable, realistic, and time-sensitive (meaning they should have deadlines). Below are some examples, but you don't have to use all of them and you don't have to limit yourself to them. How much do you have to earn to be profitable (cover your production and marketing expenses and the time invested), and by when do you want to hit that target? How many reviews do you want, and by when? How many total versus 4-5 stars? This section explains, in broad terms, how you plan to meet your marketing objectives. Think of your objectives as problems that need to be solved, and think of your marketing strategy as your high-level solution. Leave the specific steps and tools for later. How will branding play a role in helping you sell books? How will you position yourself among the competition (selling low-priced books versus premium books for example)? What kind of reputation do you want this book to have, or how do you want it to be seen in relation to other books on the market? Product: Provide a detailed description of your book (synopsis) as well as a physical description (length, cover design plans, dimensions, etc.). Also include the benefits your book offers its target readers in comparison to competing titles. Price: How will you price your book? Will you offer discounts or sales from time to time? What kind of payment methods can you accept (for direct sales)? Promotion: Summarize your key marketing tactics and tools (will you focus mostly on public speaking, social media marketing, etc.)? You'll cover these in more detail in the next section. Placement: What specific marketplaces will carry your book? Will you sell directly in-person? Where? Will you sell through your own website? On what page, and through what distribution services, if any? In other words, how and where will your book be accessible to readers? This section is where you get into the nitty gritty aspects of meeting your objectives. List all specific marketing tactics, tools, or actions that will help you successfully execute your marketing strategy. If a tactic doesn't do that, put that time or money into something that will. What print tactics will you use (bookmarks, mailers, posters, etc.)? How will you use your website or blog to promote your book and build relationships with readers? Will you use speaking engagements to promote your books? What about webinars or online courses? What social networks will you use, and what will you do to promote your books on each of them? What other online marketing tactics can you use? What other offline marketing tactics can you use? Create a marketing calendar (Gantt charts are a good option) so you know when each action or tactic will be scheduled. Some will be ongoing. Others will have deadlines. The idea is to make sure your tactics complement each other at any given time so you don't spread yourself too thin. Setting a marketing schedule up front also ensures that you won't wait until the last minute -- like launch day -- to start building visibility for your book. What is your total marketing budget? How much during pre-launch? How much right around your launch date? How much in the first few months or a year? Make a list of all of the tactics and tools you described in the previous section, and detail all costs involved. For example, if you set a yearly budget, your website hosting cost would be for only the current year of hosting. You would update your marketing plan at the end of that year. Include an expense forecast similar to your marketing schedule so you'll know what expenses will become due and when. Include sales forecasts if at all possible. When should you expect to earn a profit? Justify these forecasts with data (such as from your competitive analysis). If you have a larger business plan, you can work these numbers in there instead. How will you evaluate the success or failure of your marketing plan? What specific metrics will you measure to make sure you reach your goals (e.g. number of sales, total amount earned, number of reviews, number of free downloads, etc.)? Catch up on the previous two posts in the book marketing plan series -- Book Marketing Plan Basics and Book Marketing Plans: Keep Market Research Simple. This is great. What a valuable resource for authors! Thanks Ashlee. I’m glad you think so! Hi! where can I find the premium version of this marketing plan? I didn’t get around to releasing it James. I’m sorry. It’s still in the works though, but there have been technical issues with the automated version that will be accessible to buyers of the premium version. Once that’s sorted out, I’m still planning to release this along with some other similarly interactive tools. This post was thorough and precise. I benefited from the step by step format and utilize these strategies in the promotion and marketing of my two children’s books: “I Can, Too !! !” and “Miracle Me”! I am so grateful to have come upon this site. It really makes it seem possible. As an author of a poetry collection, who might my target audience be? Poetry is read by so many different people from all walks of life: adults, young adults, men, women, highly educated to not-so-educated, married, single, divorced, widowed, all races, all religions etc. etc. I can’t seem to narrow down my target audience! Could you give me some examples of target audiences if the poetry was composed by a woman who was married, had children, lived a long life then passed away. She spent about 50+ years composing poetry for her personal, private collection. Her poetry is mostly about love, loss, anger, happiness, reflection, nature, family and a few more. Your help would be appreciated! Without knowing more about the specific poems, from that description I’d say the primary market would be educated women with families of their own. If there’s an ethnic slant of any kind, that could help you narrow things further. The same with any regional focus if such a thing exists in those poems. Having a primary target market doesn’t stop others from buying or reading the poetry. It’s just about narrowing down your promotional efforts (and budget) to get the most out of your marketing. Thanks — this is so helpful! I’m going to share your post with author friends and St. Louis Publishers Association. Thanks so much for providing this information. My children’s book (my first) is in the hands of the illustrator so I want to get a jump on marketing strategies before publication. I’ve also been researching software programs that would fit authors’ needs for management of the business, i.e. expenses and income. do you have any suggestions? Thanks so much, Jennifer.